Before you start pursuing various income streams – Kindle, info products, affiliate marketing, etc. 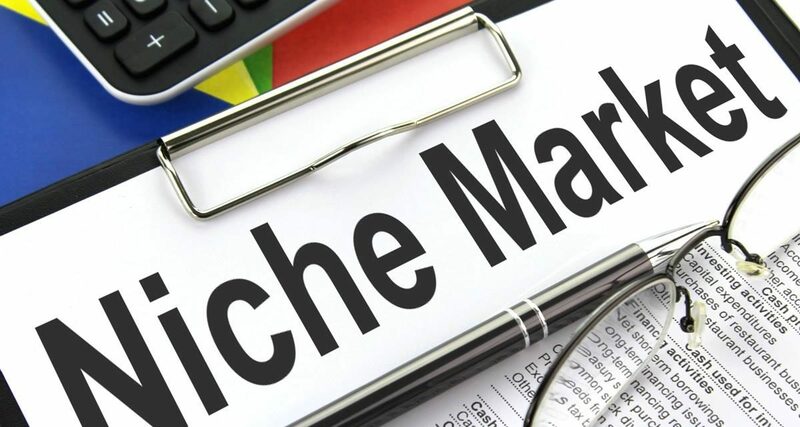 – you have to pick a niche and figure out how you plan to monetize it. There are many broad and narrow niches to choose from, but for many people, it’s difficult to fully understand how it all comes together. The following lesson will show you five evergreen, yet continually evolving niche markets that offer you ample opportunities to promote both digital and tangible items. We’ll cover the different ways you can research what sells, find what types of digital and tangible items are available to affiliates for promotion, and how you can present it to your target audience. Self esteem and confidence, stress, depression, and guidance of all sorts (like career or relationship guidance) can fall under the umbrella of mental wellness. The self help niche is thriving – and it has been all along. There are no signs of it slowing down, either – as both men and women, from youth all the way through senior ages – seek assistance on how to find happiness and eliminate any troublesome issues. The great thing about the stress niche is that it gives you many content choices – stress of a job, relationship, parenting, finances, etc. So let’s talk digital product promotions first. For example, you could blog about relationship stress and then promote an ecourse on saving your marriage. Or you could discuss financial pressure and promote work at home products that could help them alleviate the stress from that part of their lives. Using this strategy, we now add a few tangible promotion ideas to our arsenal, including: crystals, scents, lavender, food, herbs, yoga balls, art products, music, games, journals, massage products, vitamins, essential oils, etc. This niche is another one that’s perfect for both genders and ages youth through seniors. It’s also evergreen – there are always people wanting to lose weight (either because they’re newly overweight or in yo-yo mode), and even if they’re the perfect size, fitness will continue to be a lifelong pursuit. This is a great niche to be in for both tangible and digital promotions. Not only are there thousands of products for you to promote that are already on the market – but more are being developed each and every day. One of the main keys in developing credibility in this niche is to act in the best interest of your target audience. Weight can affect their mindset and their health, so you want to be protective of what you promote to them – and do it for deeper reasons than what affiliate commission it will give you. Everyone has to eat, right? With a crippled economy, and a nation full of obese individuals, many men and women are turning to online tutorials to learn how to cook healthier, or even find recipes for comfort food (Pinterest alone is full of them)! You could have a broad cooking blog to promote this kind of stuff on, but in this particular niche, it might benefit you to launch more than one cooking blog, and make them specialized for their target audience. Now let’s start looking at the kinds of tangibles you can promote. Let’s start with the brainstorming. What kinds of things can we hold in our hands or touch when it comes to cooking? Pets aren’t demanding. Pet owners are demanding. Many people consider pets a part of their family – and they spoil them and show much of their affection by caring for their health, training them, and pampering them. Tangible items are vast with the pet niche – and the good news is, much of it turns out to be a repeated purchase. Let’s go with the dog niche, since it’s one of the most popular niches. Remember, our formula is to brainstorm first, then add Amazon search results, and finally a keyword tool like Ubersuggest. Brainstorming, we come up with things like collars, leashes, flea and tick control, and treats. With Amazon, we can add dog beds, toys, and crates, among others. When we go to Ubersuggest and search phrases like best dog, we can add on things like food, shampoo, brush, car harness, diapers and life vest. When you go to ClickBank, you can look up beauty and find topics like natural beauty care, stylist secrets, and even niches as drilled down as plucking the perfect eyebrows! There are tons of anti aging guides – some for appearances, and others for mental acuity, physical movement, and optimal health. Head over to Amazon and you’ll find thousands of products for both niches, so look them up separately. For beauty, you’ll find everything from makeup and fragrances to hair care and skin care. Anti aging has many books, creams, and other treatments to keep time at bay.